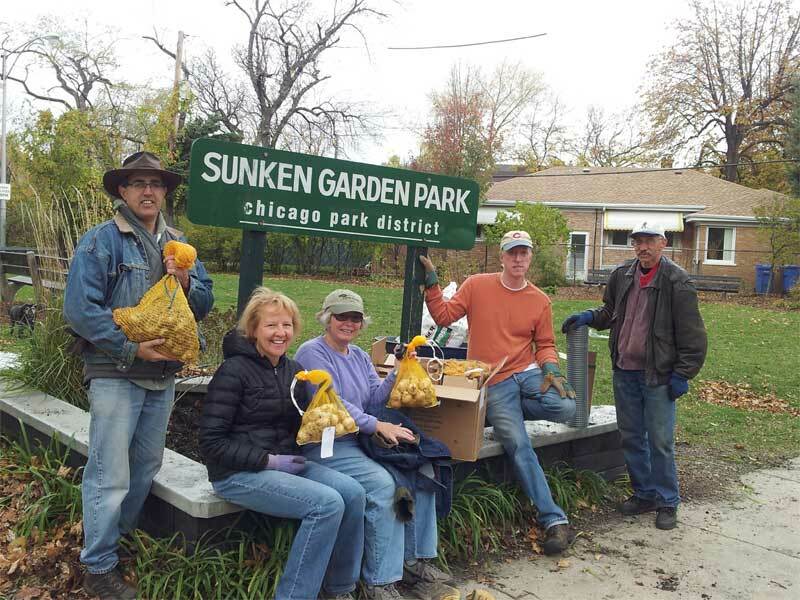 On Saturday, November 3, several residents of Ravenswood Gardens volunteered to help maintain and beautify Sunken Garden Park. Directed by Luke Ross, mulch was distributed throughout the park and native plants were added from the Northerly Island plant giveaway. Also, over 400 spring bulbs were planted with the help of Girl Scout Troop of Queen of Angels headed by Ann Ryan and Troop Leaders Liz Wannemacher and Colleen Lambe-Herman. Special thanks to donors of bulbs and planting materials: Louise Frank, Sally Gregory, Kathleen Trainor, Chrise Burke, and the RGHA. Robert Brooks of Autumn Ridge Land & Site Design helped to get mulch, and Tom McManamon of Horner Park loaned planting tools. Members of Friends of Sunken Gardens include: Patrick Monaghan, Julia Adams, Jessica Blomquist, Sue Sater, Nancy Chambers, Louise Frank, Jerry Giese, Susan and Henry Schleichkorn, Dorthy Collins, Bill Dietz, Treekeeper Theresa Hicks, and Sunken Garden Park Steward Luke Ross. 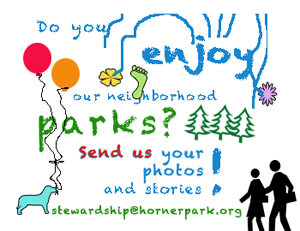 Please consider joining this group for spring clean-up!